Kolkata, Feb 7 (IBNS): Reliance Industries owner Mukesh Ambani has promised to invest over Rs. 1 billion in West Bengal as Chief Minister Mamata Banerjee inaugurated the fifth edition of Bengal Global Business Summit (BGBS) at Biswa Bangla Convention Centre here on Thursday. Ambani commented, "In 2016, we had invested Rs. 4,500 crore and presently we are having an investment of Rs. 28,000 crore in the state. We are firm to further invest over Rs. 10,000 crore." DP World, a global port operator from Dubai, has agreed to invest Rs. 3,000 crore for the development of Kulpi port in the state to "create critical capacity in port region and stimulate trade". 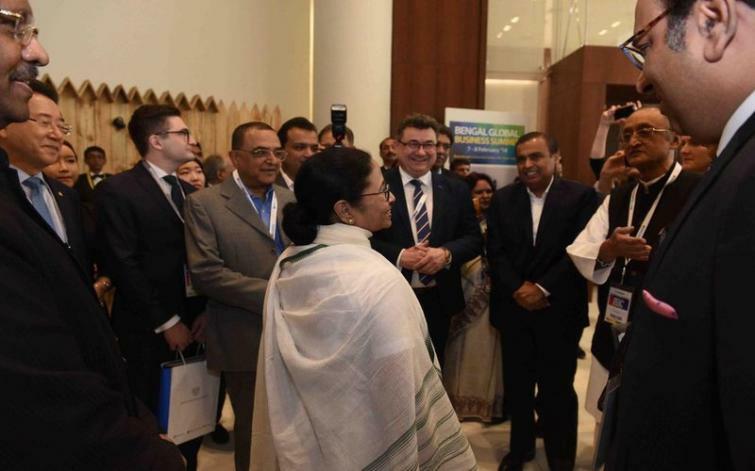 Along with Banerjee, West Bengal Finance Minister Amit Mitra and Ambani, industrialists and businessman like Sajjan Jindal, Sanjiv Goenka were also present on the first day of the summit, which will conclude on Feb 8. Mitra confirmed that Coca Cola has promised to invest another Rs. 500 crore in Siliguri, which is a part of north Bengal. Stating that West Bengal will grow in business sector, Jindal said: "The state will be a huge sector for production of materials. No one should think before investing in West Bengal. The government has handed over a hospital to us through private-public-partnership (PPP) model." Banerjee urged all industrialists to invest in her state because of its advantageous location, availability of skilled labourers and human capital. "Bengal has proved that it is the place for business," the Chief Minister added. Banerjee also requested Lufthansa to resume its flight service from Kolkata to German city of Frankfurt.